CORNWALL TODAY IS AN AWARD-WINNING MONTHLY MAGAZINE, AND THE BIGGEST AND BEST-SELLING MONTHLY MAGAZINE FOR THE WHOLE OF CORNWALL. South Westerly windbreaks designed and produced a set of stunning windbreaks for Cornwall Today Magazine. This windbreak was one of the most beautiful to date. It really encapsulates the feeling of Cornish coastal life. 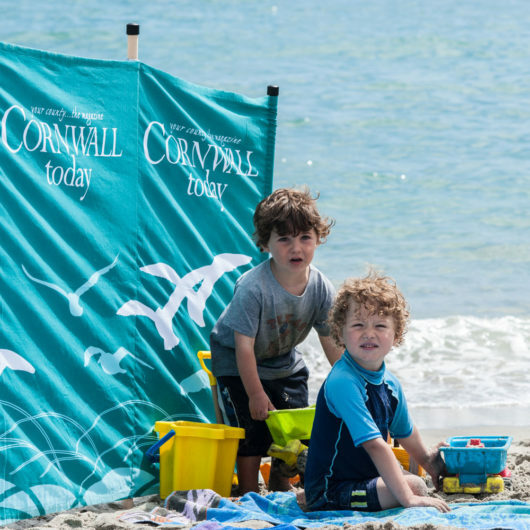 Cornwall Today ran a special promotion offering a free ‘Cornwall Today’ windbreak with any 12 month subscription of the magazine. 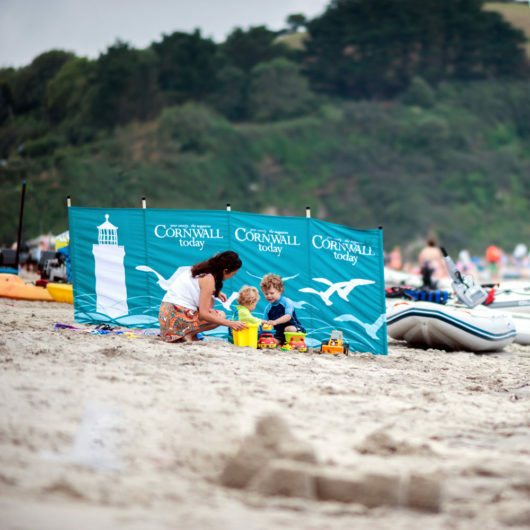 This is a prime example of the promotional power of a set of beautifully designed South Westerly windbreaks.